Blockchain may be the cutting edge of technology, but it is pestered by an older Web problem, the DDoS. The Gladius ICO attracted our attention for the long active fundraising period. The project behind the ICO plans to tap into unused bandwidth and computing power to achieve a decentralized network for content delivery. With that network, Gladius aims to achieve better efficiency in site loading by keeping the data closer to users. The Gladius project plans to offer custom-made, distributed anti-DDOS solutions by using untapped computing and storage power. Page load times are key in 2017, and Gladius plans to deliver, by keeping information close to the users in a distributed network. I think this is a pretty solid overview of what Gladius is doing, and how to assess this ICO. There's a video from the creator being interviewed floating around, but of course that's biased, and the sound is a little wonky. This is a much better video to get started with. You might want to sub to this guys channel too, since he seems to do some pretty good reviews from what I've seen. The token sale has already started with a bonus period. A bit unlucky for Gladius, but its ICO coincides with the spike in activity on the Ethereum network due to the CryptoKitties game, so buyers would need to increase the gas limit to have their ETH received. The Gladius project plans to use the power of a decentralized network for more robustness in case of a DDoS attack. Users would be able to choose a local pool of computer resources for their site, keeping the site secured much more compared to relying on a centralized server. DDoS attacks are serious blows on businesses, even governments, and Gladius has indeed picked a contemporary problem since internet presence and a smooth-running site are even more important than ever. Gladius plans a desktop app that will directly tap into your computer's resources and make you earn tokens, in a process resembling mining, though with lowered energy use. The computer would be used to secure sites, not really working to create tokens or transactions. A smart contract would ensure automatic payment and token distribution between users and the Gladius “protection pools”. Gladius tokens can also be exchanged for unused Internet bandwidth. The Gladius app also has a side for visualizing internet traffic, and seeing requests in real time. Gladius was founded by Max Niebylski and Alex Godwin, sided by a team of marketing experts and cyber-security veterans. Gladius is ready with a team geared to deliver a product, made up of professionals. One of the more prominent names is Jeremy Epstein, a marketing professional formerly engaged with Sprinklr, lifting it to a $1.8 billion valuation. Joseph Steinberg, a cyber security thought leader, is listed as an advisor, with possibly an important role, but potentially just giving away his name to the project. The team is a bit heavy on marketing experts, promoters and advisers, and lists only one full stack developer and a front end graphics developer- it is uncertain if those would be enough to create the whole sprawling system of connected computers and make it work smoothly. The Gladius token has a central role- to purchase content delivery services and mitigate DDoS attacks. Thus, Gladius directly tokenizes an idle resource, making the GLA token a useful resource. Owners of the GLA token would be able to build their own small business by staking the tokens, manage a pool of users, set competitive prices. Owning tokens also means a right to vote on the future development of the project. The total supply of ERC-20 GLA tokens is 96.3 million, and 68 million are set aside for the main token event. Before that, a round of pre-ICO was held for investors with a minimum input of 34 ETH. The Gladius project tackles a well-known problem, going for a market solution to lower fees. The team seems dedicated enough. The ICO has no credit card option, and may be targeted more toward serious crypto investors, instead of the general public. Gladius is also working in a well-developed niche, and may find supporters who would prefer their services to be paid in cryptocurrencies. The distribution of tokens would be rather fair, with a wide sale of 60% of the tokens. 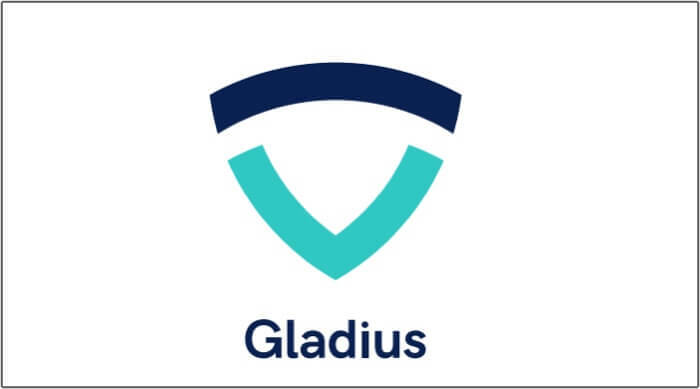 As it is easily seen, Gladius will inherit all the problems of the Ethereum network. In fact, even participating in the ICO would be uncertain, due to slow transactions. In addition, the token may not see the demand projected, and remain only an exchange-traded asset. While some ICO tokens get easily listed on exchanges like Bittrex, sometimes this is only a temporary success, and trading may be discontinued in cases of low liquidity and low earnings for the exchange. Then, there is also the risk of convincing users outside the world of cryptocurrencies to choose precisely the Gladius ecosystem to protect their site. With mainstream solutions available, Gladius may be redundant, despite a good idea. There are some doubts that the Gladius ICO is overhyped, and the Telegram group may have faked accounts, with no real questions asked. Gladius is a well-publicized ICO that is already gaining speed and gathering up ETH for its storage. The token distribution would be rather fair, with only 10% set aside for the founders' fund, for unknown purposes. Most of the tokens would be distributed to buyers in the ongoing ICO event. The full Gladius network is scheduled quite soon, for March 2018, a very fast product release by ICO standards. Gladius itself is a very young project, first established between a group of University of Maryland College Park students, at the beginning of 2017. Gladius, however, arrives a bit late, as the Internet is mostly protected by Cloudflare as the go-to solution. Whether businesses would appoint a startup for their DDoS protection is only a wild guess. The ICO and project pages also look a bit too sleek for a project created by college students. The Gladius network would also be semi-centralized, and no one actually knows who would run the protection nodes, usually reserved for larger owners of GLA tokens. But almost anything is possible in the world of cryptocurrencies. Gladius may make it or break it- so if you have to pick an ICO, My Rating for Gladius would be 2/5. It is preferable not to over-invest in Gladius, and make use of the bonuses if absolutely wanting to invest.